In a pleasing and conversational tone, the author uses this brief introductory text to invite the student to join her on a rewarding journey into the often-feared territory of statistics . 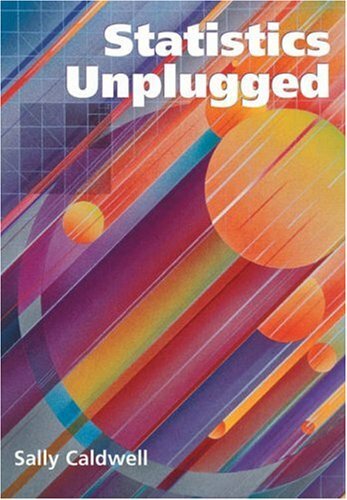 Rather than emphasizing equations at the expense of understanding, Statistics Unplugged gives students a clear presentation of the material they need to gain a solid grasp of what is involved in the process of statistical reasoning. While avoiding unnecessary jargon, this book uses the process of repetition and cross-referencing chapters to underscore the important concepts. As a result, the student is led, step-by-step, along the path of statistical reasoning. Sally Caldwell received her Ph.D. in Sociology from the University of North Texas. Her teaching areas include statistics, research methods, and urban sociology. Her research interest is deception in social relationships. She is also the author of ROMANTIC DECEPTION (Adams Media, 2000).